Superb skiing, robust autumn foliage, and rich cheese provide a taste of Vermont, but the real sweetness comes in its maple syrup. Vermont has the largest density of maple trees in the U.S., which is partially responsible for the vibrant colors that wash across the landscapes every autumn. 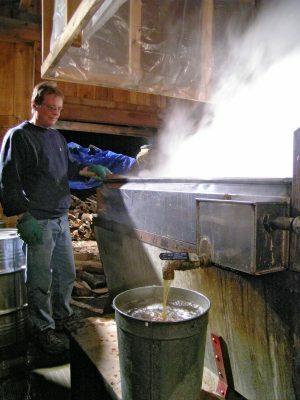 Vermont also produces a staggering 40 percent of the nation’s maple syrup. If you happen to travel to Vermont in the spring, you will find all things maple at every turn. It’s a wonderful time to visit, and there are many fun activities available for all family members. Bragg Farm Sugarhouse & Gift Shop is in beautiful East Montpelier and is open year-round. For eight generations, the Bragg family has used traditional means (buckets and a wood-fired evaporator) to produce maple syrup. Take a tour of the facilities and head out on a walking trail through the maple woods. Families with young children might want to visit with the farm’s ponies, goats and rabbits. Don’t leave without trying a popular “maple creemee,” a local soft-serve ice cream specialty. At nearby Morse Farm Maple Sugarworks in Montpelier, your family can tour the property, walk a nature trail, watch a multimedia presentation in a woodshed theater and even go cross country skiing. Look for the whimsical carved characters that owner Burr Morse sculpted with a chainsaw; they are scattered throughout the property. Burr has been seen on major news networks as the spokesperson or barometer of how the maple season is going. The Morse family has been maple producers for 200 years. Check the website for their “Flapjack Fundraisers,” which give you the chance to enjoy pancakes, syrup and maple-cured bacon while supporting a needy cause. Cabot Creamery Co-op dairy farm member Richardson Farm in Woodstock also produces maple syrup using traditional methods to produce their fine products. 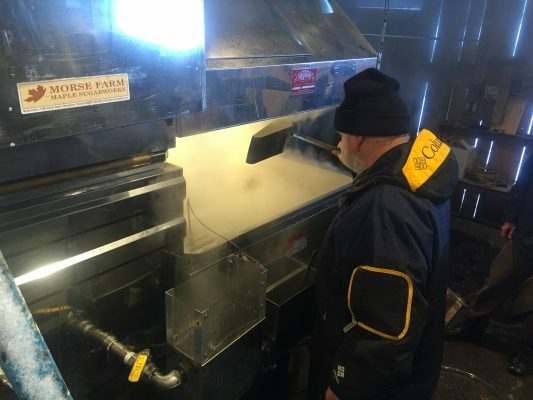 The Kosher-certified farm has 8,000 maple taps and produces 3,000 to 5,000 gallons of syrup a year in its wood-fired evaporator. 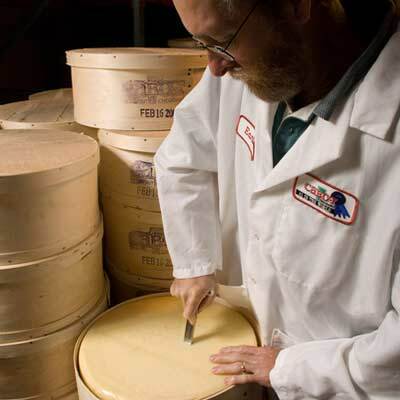 Shop its store for an array of maple and farm-fresh dairy products. If you’re looking for a sugarhouse and a unique place to spend the night, consider Moose Meadow Lodge & Tree House. Tucked amid 86 secluded acres with hiking trails and stunning views in Waterbury’s Green Mountains, the LGBT-friendly luxury log cabin lodge offers uniquely appointed rooms with outdoor-themed décor. Owners Greg Trulson and Willie Docto have a sugaring operation on the property and feature their maple products on their breakfast menu. From the time that Vermont children are first able to walk in the woods, they begin participating, one way or another, in their family’s maple operation. 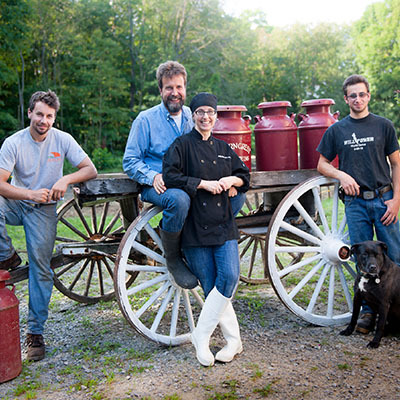 Many Vermonters have their own backyard maple syrup operations. 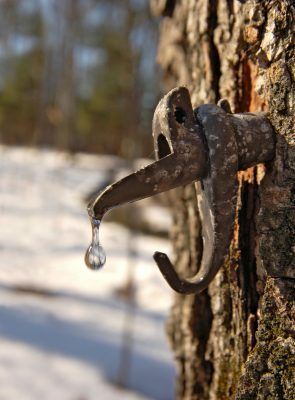 They traditionally tap their trees every spring, produce their own syrup, and give it away to family and friends. Some sell their products at roadside stands. Maple Open House Weekend, this year held March 25-26, is an opportunity to see how hard-working Vermonters come together and celebrate the industry that has helped shape their identity. 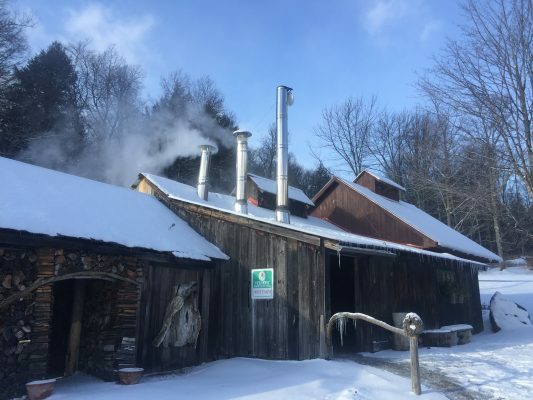 All sugarhouses are open for the weekend, and you can learn about the process and history of making maple syrup, as well as taste the delicious results. 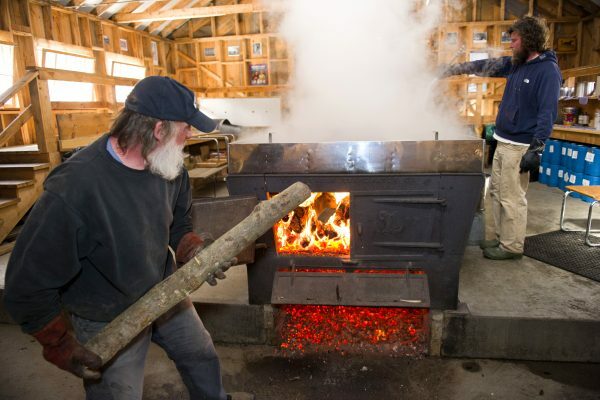 Just a month later, April 28-30, the Vermont Maple Festival in St. Albans celebrates the state’s thriving maple industry. The event kicks off each morning with a pancake and sausage fundraising breakfast. Other weekend events include a parade, fiddlers’ variety show, sugarhouse tours, a maple syrup and products contest, antiques show and the 38th annual Sap Run. The 8.5-mile road race takes runners ages 12 and up on a unique course. Kids can visit the carnival and have their faces painted. More than 60 vendors will be around all weekend with maple-infused products on the menu. 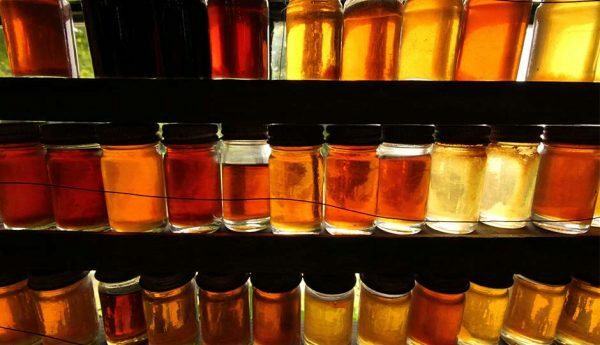 On the 29th, those over 21 can participate in an “adult” beverage tasting featuring drinks made with Vermont pure maple syrup or Vermont maple sap. How can something that tastes so good be so good for you? Maple syrup was the original natural sweetener. It’s rich in calcium, manganese, potassium and magnesium, and it’s a natural source of antioxidants. 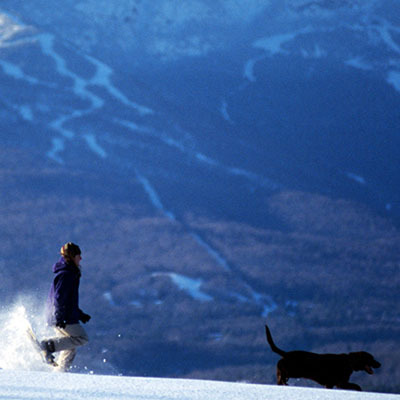 Visit Vermont this spring and see for yourself why maple syrup sweetens the lives of Vermonters.